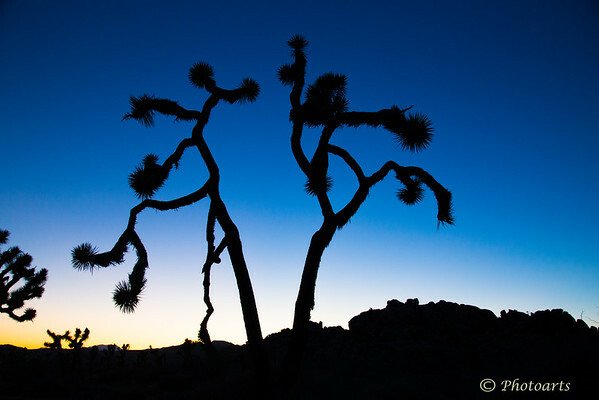 The Silhouette of couple of Joshua trees captured in the National park of the same name at dusk seems to suggest as if two individuals are dancing with wild abandon! Very dramatic. Great colors in the sky for the background.